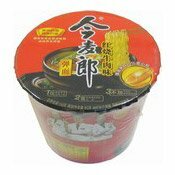 May contain traces of egg, milk, crustacean, fish, sesame, celery and mollusc. 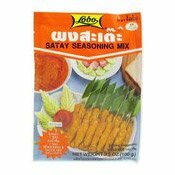 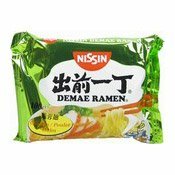 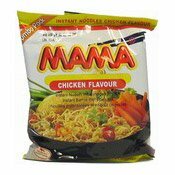 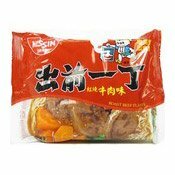 Ingredients: Wheat Flour (78%), Palm Oil, Salt, Spices (Garlic, Pepper), Sugar, Dried Vegetables (Cabbage, Carrot), Textured Soy Protein, Flavour Enhancers (E621, E635), Chilli Powder, Acidity Regulators (E500, E501, E451), Thickener (E466), Soy Sauce (Soy Bean, Water, Salt), Flavouring (0.01%). 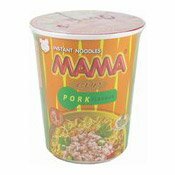 Simply enter your details below and we will send you an e-mail when “Instant Cup Noodles (Pork) (媽媽杯麵 (豬肉味))” is back in stock!